If you haven't seen this already then boy are you in for a treat! 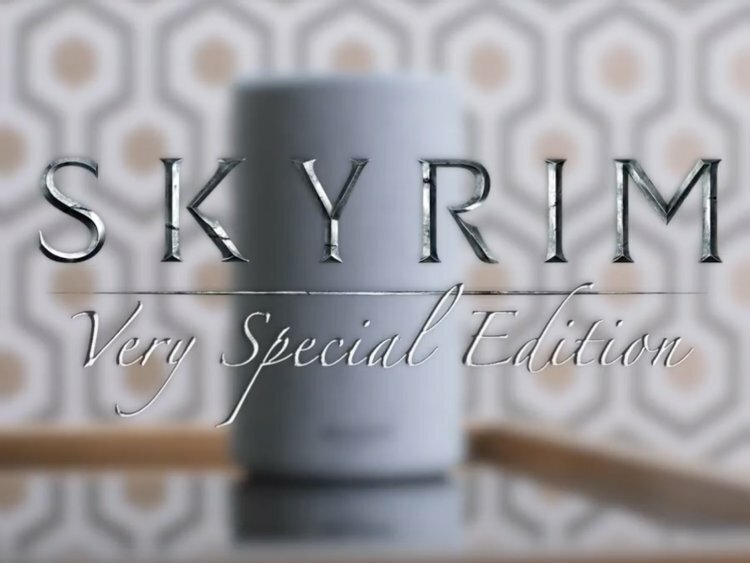 Bethesda, at E3 2018, showed off a parody trailer for Skyrim: Very Special Edition on the Amazon Echo devices. This, of course, was making a joke of themselves for releasing Skyrim on every possible platform ever. However, they went the full mile with this joke, and actually made it into a thing. Seriously, you can go and ask your Alexa device to play Skyrim right now and it will do it. It's been available in the US for a little while, and has just recently become available in the UK as well; prior to saying "That Skill is not available in the UK right now. That is a burden I am sworn to carry." Oh, Bethesda. But now everyone can go and play Skyrim: Very Special Edition whenever they want. The game itself is in no way refined, and is only a very simple voice-adventure (like text adventure but voice...yeah) and provides the player with procedural quests and witty jokes while you level up. Honestly, they have made this game hilarious with jokes about the Annoying Fan, the Lusty Argonian Maid, and god-rays that "tank your frame-rate". As simple as it is, and even though it's a joke, it's surprisingly fun and something I will probably load up every other week or something. If you're bored, just go and save a cheese wheel from a lurking evil in a cave or something. In all of this, I just have to say: Well done Bethesda. It's brilliant that they acknowledge the feedback surrounding them, and they are able to poke fun at themselves; and not just poke fun, but full 110% jokes that are genuinely hilarious. Even during the E3 conference, Todd Howard referenced reading online that their games don't "just work"*, which is another excellent example of finding the humour in themselves. If you have an Echo, or any other Alexa enabled device (including on a phone through the Alexa app) then go and play this game right now, because it's becoming rarer to see this kind of humour in games nowadays, and a voice-adventure is strangely fun. As an avid gamer and writer, I'm set on writing for as long as I can, in as many places as I can. I'll be frequently writing about the industry news, games, reviews and my general thoughts. I've been playing video games my entire life, and I will never stop loving the work and art that goes into them. I enjoy writing about both relevant and irrelevant things. Once day it might be a new game review, the next it might be my thoughts on a PS2. Who knows? 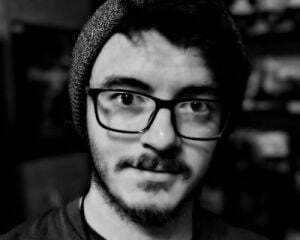 Be sure to follow and leave your thoughts too, and I look forward to writing all over the internet!